Some thoughts about Origin , Genesis and Mechanism of palpitation ! Not every one feels the palpitation during tachycardia / Bradycardia /VPDs , Why ? Palpitation is awareness of one’s own heart beat. It is a complex perception of sensation at cortical level (like dyspnea) . It can occur during physical and mental exertion.However , if it occurs without any physiological reasons , it becomes abnormal. It can mean an abnormality in heart rate , rhythm or raise in stroke volume. The first rule of palpitation is both tachycardia and bradycardia can cause it. Tachycardic palpitation is due to valve motion and bradycardic palpitation is due to both motion and increased stroke volume. How and where does the sensation of palpitation felt ? Does it originate in the chest wall ? or Is it the vibrations spreading along the flow of blood in great vessels ? or Simply represent the vigorous valve motion sensed by Intra cardiac receptors ? 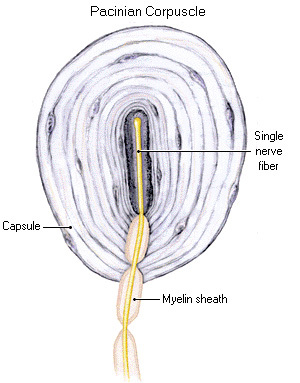 How it is transmitted to spinal cord where it’s felt at cortical level ? We are not clear yet. Paccinian corpuscles is thought to sense these vibrations and hand over as electrical signals to spinal cord either directly from cardiac valves /walls or indirectly from chest wall. Palpitation is primarily a symptom of young age where the heart is supple and more dynamic. Women tend to perceive more for some unknown reason. Elderly people rarely complaint about palpitation .It could imply aging with or with out autonomic dysfunction which suppresses transmission of palpitation signals to brain.Chest wall thickness also matters. My guess would be, Chest wall thickness, epicardial fat pad could absorb the vibratory energy and chest wall receptors fail to recognise it. One curious observation is, palpitation is described in a succinct manner by certain patients only. Since , it essentially involves higher cortical senses , we believe spatial intelligence of the patient may also be important. 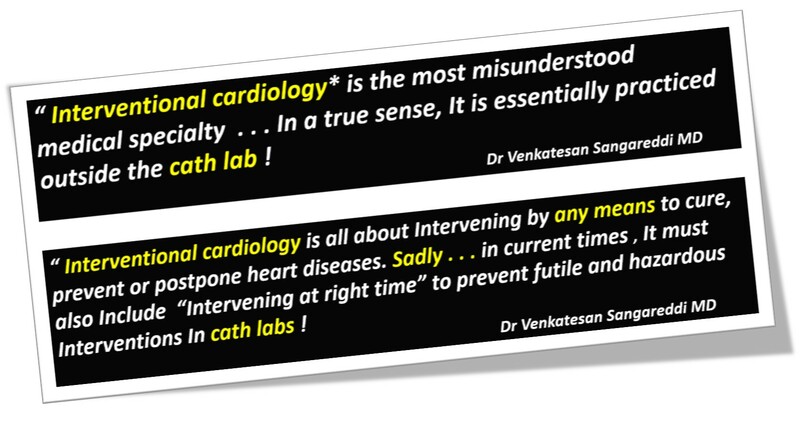 Why Irregularity in heart beat is well recognized? For the given heart rate , irregular rhythms are felt more often as palpitation than sinus tachycardia. This is the reason single ectopic beat is easily felt than sustained tachycardia. A common sequence of palpitation due to ectopic beat is , a suddenly missed beat, subsequent pause and forceful post ectopic beat. Mitral stenosis patients can feel their loud first heat sound (S 1) or varying S1 during atrial fibrillation as palpitation; Mitral valve prolapse with redundant , hyper kinetic motion is probably most common cause of benign palpitation. Sclerosed and calcific valves attenuates palpitation. Calcific mitral valve in mitral stenosis make both S 1 intensity and opening snap feeble .These patients are less likely to feel palpitation . Individual valve pathology can generate palpitation as in Ebstein anomaly , which has a the large sail like septal leaflet that flutters to create palpitation(Apart form pre-excitation syndrome common in this condition) As a general rule ,It is possible semi lunar valves are less likely to cause palpitation than AV valves as the latter only exposed to direct contractile pressure of ventricle. Palpitation occurring during exertion often imply its due to excessive handling stroke volume or (Pathological regurgitant volumes) Stenotic lesions are less likely to cause palpitation during exertion it’s never an absolute rule. Exercise Induced arrhythmia always happen in any valve lesions. With so many foreign bodies and accessories entering the heart it’s not surprising for patients to feel amusing sounds and vibrations hitherto unknown in human body. What brings the unpleasantness during palpitation? (applies to dyspnea as well). It is purely state of mind. While, palpitation due to extreme fear is unpleasant , palpitation due to pleasant emotional arousal (Often referred to as flying butterflies ! (Is it the wings of AML ? ) within the chest as we hear from some of young women & men ).Since they know the reason why they get it, cortical input welcomes it ,converts them to pleasant beats .The Non-academic stuff is intentionally made to understand how the limbic system and Hipocampus areas of brain can modify the incoming signals of palpitation that comes from down under. Does post heart transplantation (De-nerved heart) patients experience palpitation ? Again, I am not sure .If palpitation is carried by cardiac nerves it should disappear. Of-course , 30 % of transplanted heart do get re-innervated. When you get a chance to meet a heart transplant patient you ask yourself and find the answer. *Please be reminded Anginal pain almost vanishes post transplant.In fact ,there have been instances of cardiac auto-transplant for refractory angina in the past. Though all of us can list causes of palpitation without any difficulty , we rarely dwell into exact the mechanism of genesis of this symptom and its perception. As we enjoy flying in an exotic world of cardiac interventions . . . the principles of practice of medicine also expect us to take adequate efforts to understand fully the cardinal symptoms of our patients . After all , they are the true teachers of Medicine. It is because of their pursuit for explanation for their symptom (Often vague though) we make our professional progress. Safe MR jets in PTMC : They should be a central jet , can even be little more than mild ! Significant MR is a contraindication for PTMC. However, If MR jet is central , and mild (some times little more than mild as well ) PTMC can be safely done. The MR may not worsen .It may even disappear. Note: Eccentric MR jets are indirect evidence for sub valvular disease. Its very likely to get worsened and may require a mitral valve replacement . Here is patient with severe mitral stenosis, the MR is in all probability safe. One must realise , the eccentricity of a jet is not very objective .What may appear as central jet in long axis may be wall hugging in 4 chamber view. This is very important to recognise. Further , even central jets can reveal a invisible eccentricity detected only on 3D MR jet reconstruction. Incidentally , this patient also had another anatomical adversary ie ,the bulge of IAS into right atrium. This can happen two ways .Septal aneurysm or a normal septum bulging to RA due to raised mean LA pressure. Miral stenosis with Atrial fibrillation showing the changing mitral inflow jet . How does the MR disappear after balloon dilatation ? If you ask this question , it means your are a thinking cardiology fellow , good. Guess your answer. Its all about physics of MVOs behavior in systole and diastole . The mitral valve tissue attachment and adhesion causes not only a diastolic narrowing but also a fixed systolic regurgitant orifice.Once you relive it the leaflets begins to co-opt normally without a systolic leaky orifice. Though there are clear contraindications ,suitability of mitral valve for PTMC is more of a personal experience and confidence. A MR jet of grade 1 may be acceptable. A huge LA, Distorted IAS anatomy, a clot confined to LA appendage are relative contraindication only. The puncture site on IAS , minimal manipulation guide wire within LA, a gentle over the wire technique to cross mitral valve or some of the tips for success. When we were cardiology fellows , we used to have a mitral valve scoring system for suitability for PTMC. Its called Wilkin’s score. Its a purely an anatomical score. (I guess still its expected in Board exams) What we need is comprehensive anatomical and physiological assessment of mitral valve. With due respects to published literature this scoring system lacks two vital parameters we look before PTMC , namely the extent of commissural calcium and degree of MR.
Let me see how many find sense in this Nonsense !